Health is always a big issue where food is concerned and with a rise in awareness there has been a shift in cooking techniques to make steaming a popular choice. Food is the fuel that keeps our bodies functioning and it only makes sense that people should be vigilant about they choose to eat. With concern about the health implications of people’s diets and, in particular, obesity growing almost daily there has been an associated heightening in awareness of what constitutes healthy food. Although it has long been a popular method for cooking food, steaming has now become a byword for healthy food. Along with clean diets free from overly-processed foods, steaming is seen as an antidote to fat-heavy diets full of fried food. 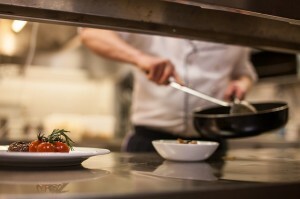 With the demand for healthier cooking methods, steamed food is a regular feature on restaurant menus. What are the benefits of steaming food? The major benefit of steaming food – in particular vegetables – is that it preserves healthy vitamins and minerals, some of which have cancer-fighting properties. The nature of steaming, which sees the steam off boiling water surround the food, means that overcooking – which removes minerals – is far less likely. The gentler cooking approach also helps to preserve the shape of the vegetables, cooking them to perfection to appear even more appetising to diners. There is also no need to add any sort of oil during the steaming process – allowing fish and vegetables to be cooked without the addition of fat. Light, healthy, tasty and decidedly on trend, steamed vegetables are a winning choice for modern diners. When used in a commercial setting, steamers are ideal for cooking more than one food at a time due to the low risk of cross-contamination and can be easily managed. While simultaneously preserving taste and flavour the technique has plenty of benefits to offer.